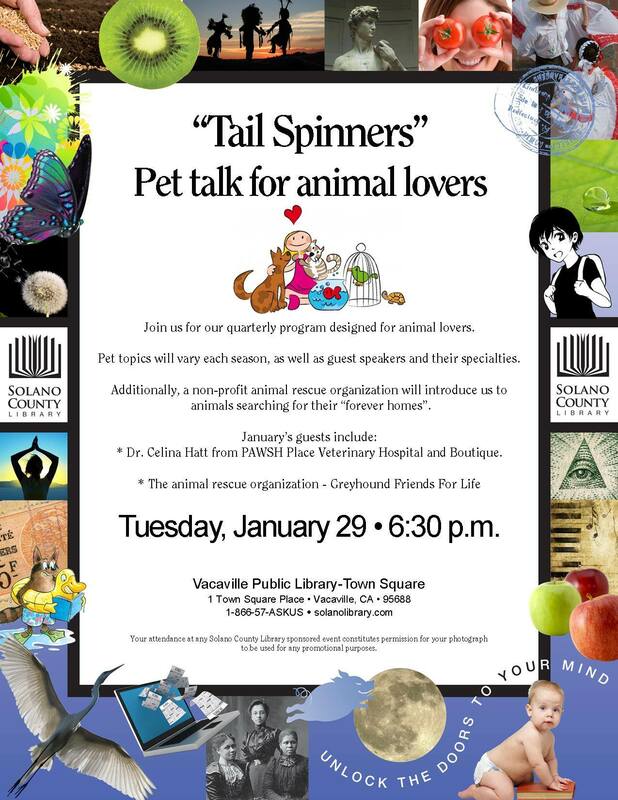 We have been invited to share information about GFFL and the work we do… The Vacaville group has confirmed their attendance (3 Salukis, 3 Greyhounds, 1 Staghound and 1 Lurcher) You are welcome to join us or just sit in the audience. This is a NEW program at the library and we feel honored that Delilah reached out to us and asked us to help kick off her program. 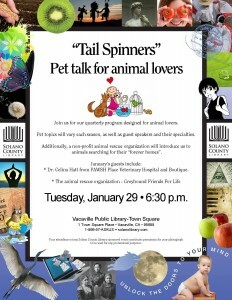 Additionally, a non-profit animal rescue organization will introduce us to animals searching for their “forever homes:.